I wanna set up eGPU (mPCIe) with RX 580 cuz my Graphics Card is broken. 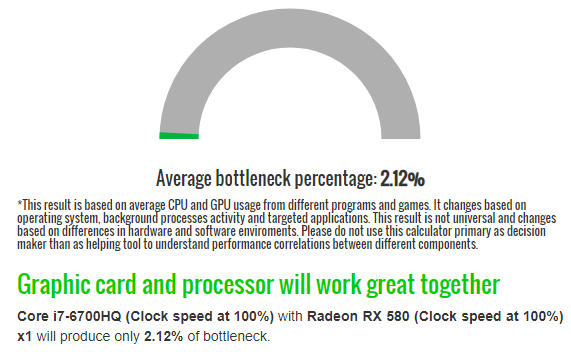 Thebottlenecker site says me that my cpu will work fine with RX 580 so I wanna know can I use AMD graphics cards with -mPCIe eGPU- internal monitor. By the way, my laptop model is GL752VL, I heard that there is no whitelist in Asus laptops. I have a Dell xps l521x everything works fine and it's pretty much powerful enough for most of things, but it has an Nvidia gt640m graphic card which isn't up for most recent games, I don't want to buy a new pc only because of gpu. Can anyone help me to tell if it will be possible to set a functional egpu? Are there any possible improvements if it doesn't? Hi I have ASUS A42JZ and it seems the gpu is dead. I have a MSI GTX N750, is it possible if I plug it into the mPCIE port? I plan to use EXP GDC Beast. so i want to connect a nuc with a gtx 1050ti mini through an adapter. At first i was thinking the m.2 BEAST but it has been said that it has some issues (gen 3 signal lost). I have heard that in cases where BEAST failed ADT R43 worked perfectly. My question is from where does ADT R43 get power to power the card. Remember the gtx 1050ti is a small card which gets all its power from the motherboard. I have read that it gets power from 4 pin floppy (sata cable). Will this power input suffice ? I am looking forward for an answer. I would like to know of you, with more experience in the field, what would be the best interface, with better BandWidth, for my old Clevo W350STQ, based on the map of the board and other details in the images that I brought. I believe my only alternative is a mini PCIe, with only 1x of bandwidth. Is there any way to reuse the PCIe x16 port? I have a gigabyte gtx 1070 mini itx oc, ready to use. Can I use egpu without dismount wifi module? If yes, could u help and told, what I need to use egpu? If it possible, to use egpu, I would like to know both var : without dismount wifi module, and with it. P. S. I have an Nvidia GTX 560, GTX 650 (both card need 6 and 12 pin) 450w power supply. What I need more? Thank you for your time. Despite being an old laptop, it runs greats and allows me to do my work and play the retro games that i like, but it would be great if i can give this laptop some aditional years with an external gpu, so i can display my games without problems, into an external monitor of hopefully 4k resolution. Thanks everyone for your time and attention! I want to install GTX1060 3GB on Asus GL552VW with M.2x4 cable EXP GDC. Does my laptop support EXP GDC? I did read some forums on "error 43" but I still need more information to finalize my decision on buying M.2x4 ver cable. So far I did not found out many people or none talking about external GPU on Asus GL552VW. I deeply understand that I have to sacrafice my SSD to install EGPU on my laptop, I still want to do this setup since I found out that most of my gaming fps are from internal gpu being not powerful enough even playing my game in SSD. And what kind of power supply unit I need to buy? So does my laptop support this M.2x4 cable and can this EXP GDC support GTX 1060 3GB? And what kind of PSU(Cable part/Not Watts part"I already know the recommended watts requirements") I need to buy? 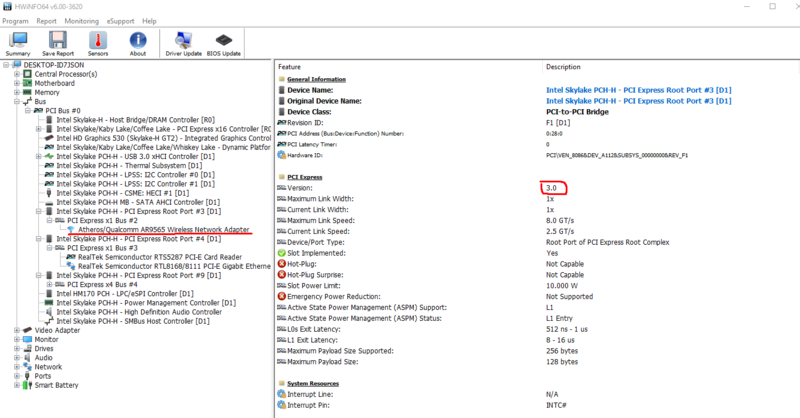 Edit: Does my laptop Asus GL552VW USB Type-C can be used as Thunderbolt to install EGPU? Hello guys, I am new to the forum and also new to this eGPU stuff, i have some basic knowledge about computers but I still have my doubts about the whole proces, so let's begin. I have an Lenovo G50-80 , with an i5 -5200u , Radeon r5 m330 graphics card and an Intel Wireless AC 3160 chip. I would like to put an eGPU mainly because i love LINUX, I am a Windows user from basically Windows 95 and the only reason I am still on Windows is because my GPU, the Radeon , it's not supported on Linux. I have some questions and I hope that I will find the answers here. 1) Connecting through the wifi card slot what would be the performance drop ? 2) How much performance can I gain over the R5 Radeon ? ( Let's use Cs:GO as a performance meter, I am curently on 80-90 FPS , 1366/768 ) The only game that I play. 3) What would be the best Video card that won't get my bottlenecked by CPU, I am curently thinking about a GTX 970. So, I have a T430, i5 3320M, 8GB RAM, w/ nVidia dGPU. Windows 10 Pro. Currently, I plan to get the EXP GDC and the video card I'd like to use is a MSI R9 380 4GB. 1. Can I still use the Dell DA-2 USFF Power Supply that many others use? The R9 380 has 2 6-pin inputs. Do I just need a separate PSU? 2. Would my dGPU pose any problems or would I need to disable it? 3. Does the EXP GDC need a separate power? Especially if I can't use the Dell Power Supply. 4. Some seem to mention having the EXP GDC version 8.4D or 8.5D, but on listings, all I see are "8.0" advertised. Do the versions matter? 1. The Dell DA-2: it's pretty-much a certainty that the DA-2 will be unable to supply the 230W+ that your GPU requires at times; so best invest in a decent ATX PSU. 2. I believe you'll need to disable the dGPU in BIOS (but you should leave the iGPU intact). 3. No. If you use a suitable [i.e. Seasonic, EVGA, Corsair etc.] ATX-type PSU in your eGPU setup, then the Beast's requirements will be catered for; also, importantly, ensure that your new PSU supplies the two six-pin PCIe leads required by your R9 380. 4. I think a lot of Beasts are labelled "8.0" -- mine was advertised as such and I received an 8.5c (which has now been running daily for a couple of months without issue). NOTE: if you purchase a so-called 'modular' ATX PSU, then the ability to install only the required leads can make for a tidier build, which is nice. Just some clarification. 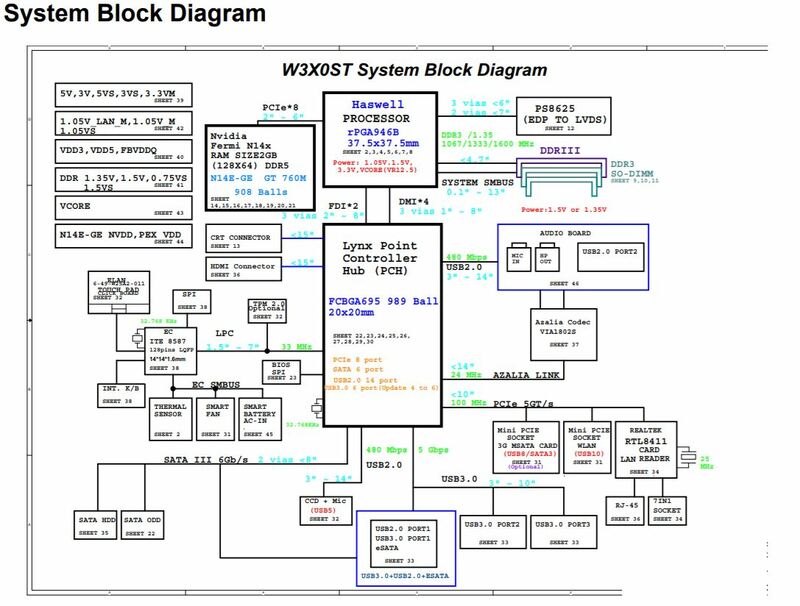 Usually I see the DA-2 plugged into the 8Pin on the Beast and then the 6Pin on the Beast to the Video Card. So with an ATX PSU, I go ATX PSU to Beast and Video Card and nothing from Beast to Video Card? Would I be able to do DA-2 to Beast and ATX PSU to Video Card? I have samsung np470r5e laptop with i5 3230m and amd radeon HD 8750m. I have asus strix gtx960 oc 4gb version. Can I setup an egpu system with theese? I wouldn't recommend using both a Dell DA-2 and an ATX PSU on any eGPU setup (it's just begging for unnecessary problems); and anyway, why bother with both when a [suitably-rated] ATX PSU can power both the Beast and your GPU? Also, your proposed R9 380 has two six-pin PCIe sockets, and they must both be filled in order to supply the card's required power. 1. If you're going to be using a R9 380, then the Dell DA-2 won't be able to cope with its power draw (and so you'll almost certainly experience regular crashing/blue-screening when you push the card) -- so use an ATX PSU. 2. If you're determined to use a Dell DA-2 to power your setup, then you'll need to source and use a GPU with a lower power requirement. my notebook is an avell b155 .. it has core i5 4200m and gtx850m 2gb .. in the inputspossui BT WLAN and Msata 3.5g. the number of the two ports are the same (14385r). My question is, can I use M2mkey in the Msata3.5G entry? Just starting to look into setting up an eGPU on my Asus G74Sx (which has a Geforce 560M dGPU that's really starting to show its age). A few questions of course, the first being pretty generic - I'm currently still on Windows 7. Is it generally advisable to upgrade to 10 in order to maximize the chance for drivers to work and everything to go smoothly, or is there no difference? It seems like with DX12 around I'll have to upgrade eventually at some point anyway, but currently it doesn't seem like there's a huge difference between 12 and 11, but I know I'm not terribly knowledgeable about that. (edit) - I just read in the mPCIe error guide here that on Windows 7 you can't run an eGPU if the dGPU is disabled, and since I have an Nvidia dGPU I either have to A) Upgrade to Win10 so I can disable the dGPU if I want an Nvidia eGPU or B)Use a non-Nvidia eGPU graphics card? Regarding the actual build, it seems like if I get the PCE164P-N03 mini version with the barrel connector, that's the simplest since I can then use a laptop adapter instead of hooking into a desktop PSU - assuming I choose a graphics card that doesn't need more power attached to it. Or I could get the 6-pin version and use the guide to connect it to an 8-pin Dell power adapter. Or-or I could get the 6-pin version and get a PSU to connect it to. After that, it seems like connecting to my laptop's mPCI-e port is pretty simple, it's visible without taking the entire laptop apart at the very least. I am going to do extra research to see if I have Bluetooth on the laptop that could also be a mPCIe port to use. Am I missing anything super important? Still reading through guides here but excited to give this a try. And for choosing a graphics card, is there an accepted best eGPU bang-for-the-buck GeForce out there right now? Thanks to anyone taking the time to respond! Hi, so, as the title says, I'm new to this world of eGPU, been wanting to get into gaming but don't wanna fork out the money for a full PC, so I decided to look into eGPU and at first I thoutth it was easy, but as it turns out it is a lot more complicated than plug and play. So, I come here for help, I want to use a eGPU using the EXP GDC adapter and my L440 Thinkpad, but I don't know if it is going to work and if so what card should I buy for it? Hello, I am looking forward to do an eGPU setup with an ASUS STRIX GTX 970. I have 2 spare laptops I can use, whichever is the better one and easier one you recommend me I dont know what is better with the cpu and connectivity lanes and so on to get maximum performace from the gpu. Here are the 2 with the specs. Please tell me what is the most suitable one for the setup. And here is a screenshot of the disassembly if you want to check the best connectivity. Please note that the ASUS K42JK is a very very old laptop getting near to a decade old and it is very dusty inside and loud fan noise and suddenly stops working SOMETIMES ONLY. It is overall good but deceiving. Maybe applying a thermal paste and cleaning the dust will solve the problem. The HP is literally new, been used 5-10 times only since opened, no problems at all. So after research, I found out that Mini PCIE is a good solution and many recommend it but dont know if it is the best. I found one that I could get it delivered to my country from this site. Is it the most suitable for my case? Is it the latest and best version for this setup or there is a better version to get out there? Also, is this a good and reliable site to buy from? If not? please suggest one that sells internationally. I also will make the laptop stationary, so getting a PSU will be good enough. I found the cheapest good brand 80+ rating (white) from amazon is this 430watt. I dont know if it is enough or not, but please tell me. For the GPU, it will be the Asus GTX 970 Strix. I see that the GTX 970 will need an additional cable to power it, and I have a spare one that I will connect once I assemble it. I will be using an external monitor since it works the best with these setups. Asthetics dont matter to me as I mentioned before. Just decent performance for 1080p games and affordable non expensive. I need your help and suggestion to make this work as I am new to this.